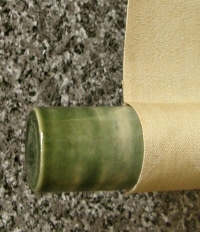 The scroll may have been re-mounted. 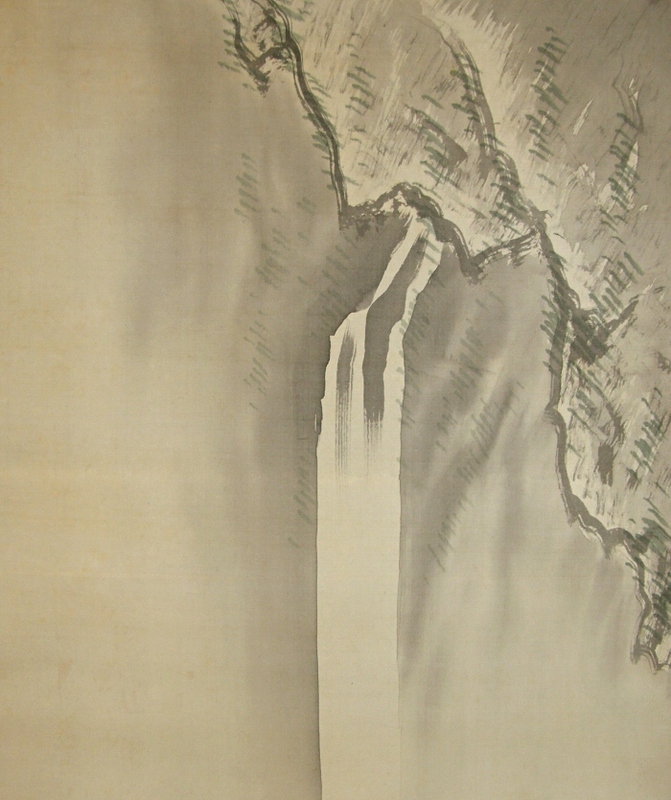 We estimate the drawing was done over 40 years ago. 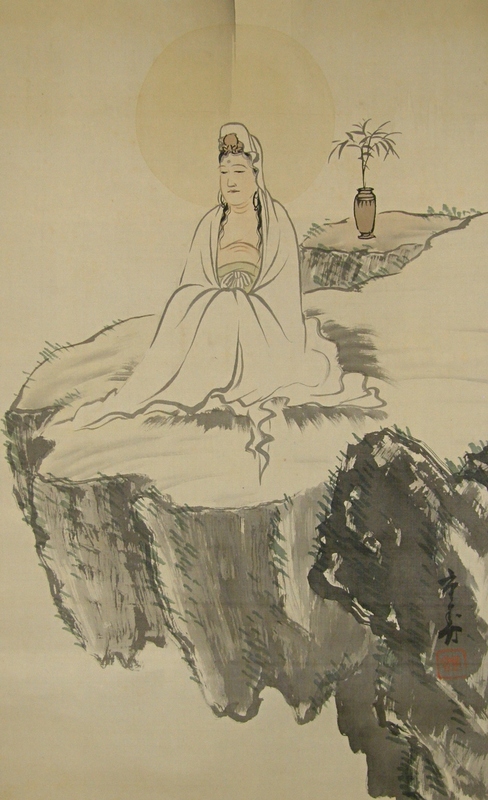 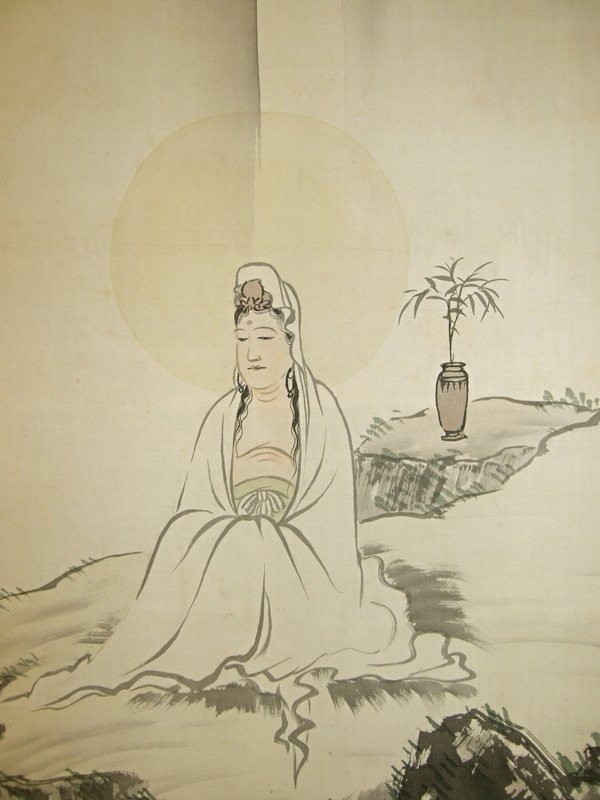 The Kannon Goddess (Kwannon, Kuan-yin) is painted artistically using Japanese brush.